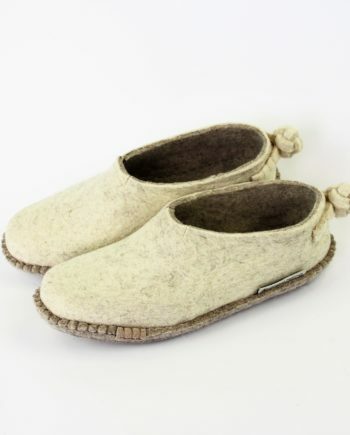 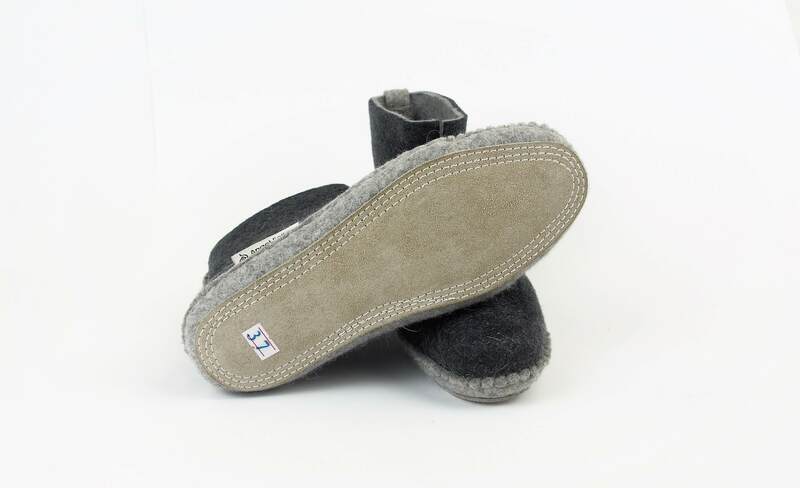 Handmade felt slippers with natural leather sole. 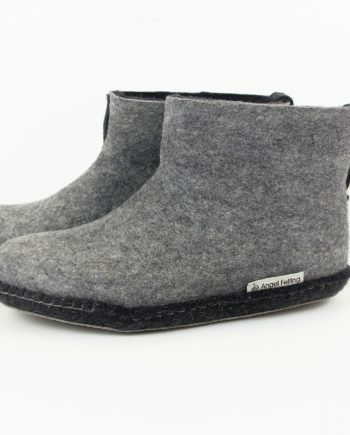 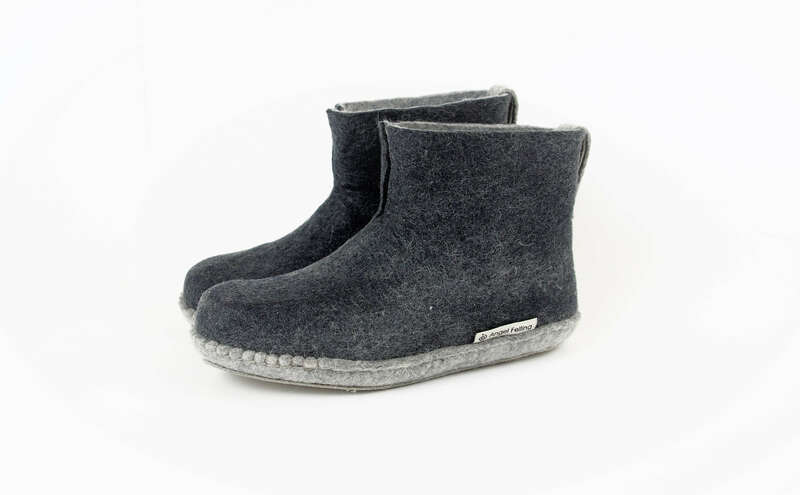 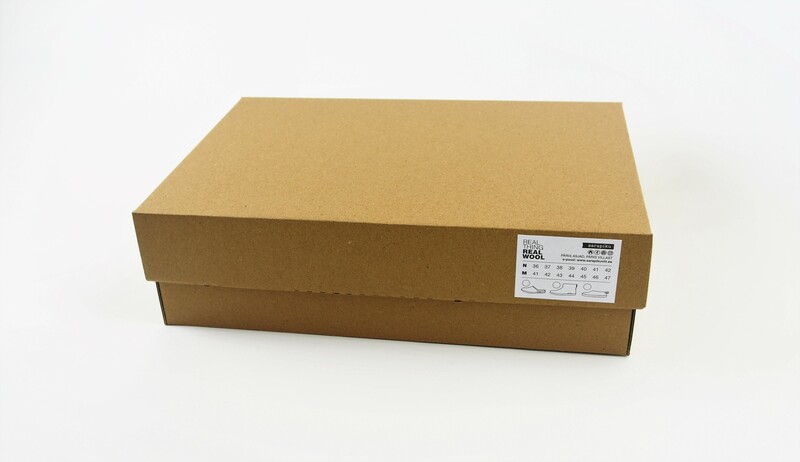 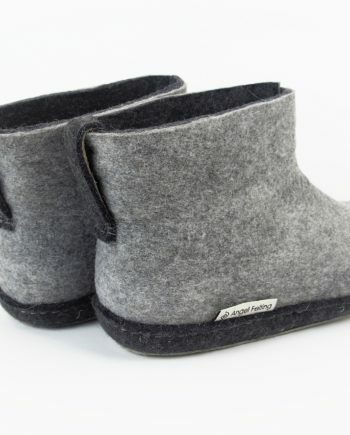 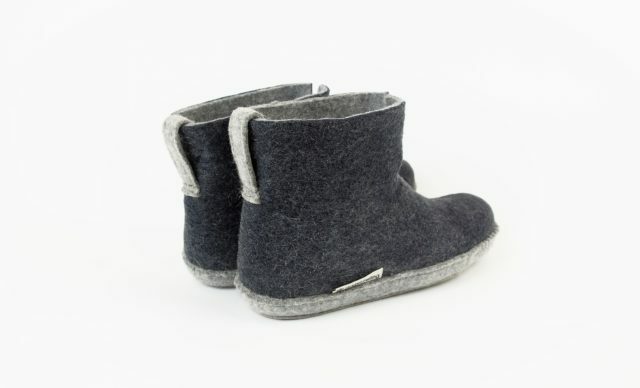 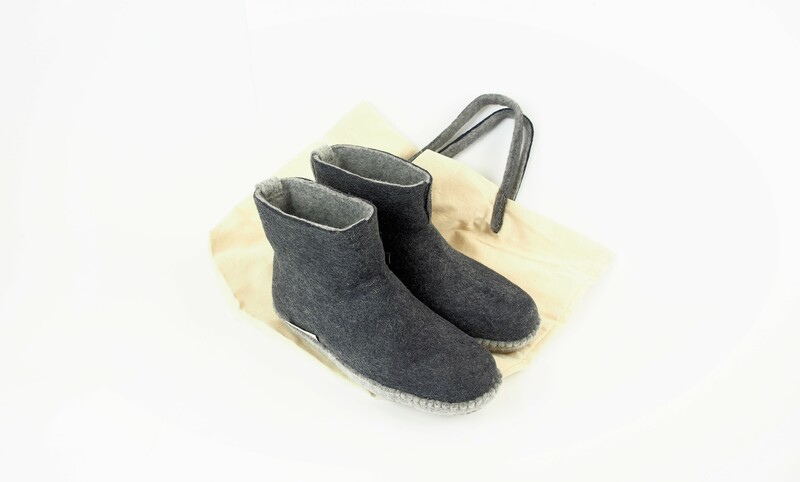 Material: 100% wool (50% merino and 50% mongolian sheep wool), natural leather. 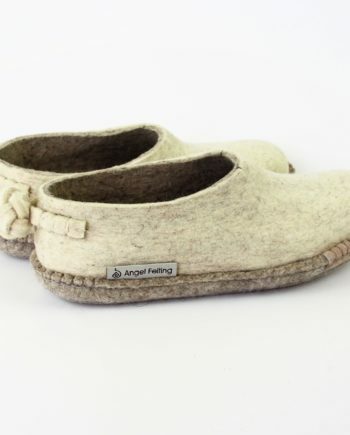 Manufactured in Mongolia by handmade.